RBTH presents a selection of views from leading Russian media on international events, featuring reports on the seizure of Russian state assets by Belgium, the formation of a far-right bloc in the European Parliament, and Ukrainian President Petro Poroshenko’s invitation to Tony Blair to join the International Advisory Council for Reforms in Ukraine. Is seizure of Russian assets in Belgium timed to coincide with St. Petersburg forum? The news website Gazeta.rureports on the seizure of Russian state assets in Belgium. 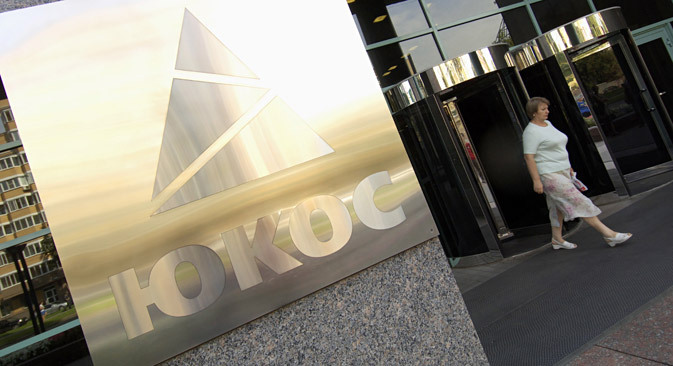 Bailiffs acted based on the decision made by the Belgian Court of Arbitration on 18 July 2014 to a claim by shareholders in the former oil company Yukos for 1.6 billion euros [which so far the Kremlin has ignored – RBTH]. The list includes almost subsidiaries of all the major Russian banks registered in Belgium, Russian organizations and Russian representative offices except those protected by diplomatic immunity, including the Archiepiscopacy of the Russian Orthodox Church in Belgium, as well as representative offices of non-governmental organizations and the media. Gazeta.ru reports that the decision on the seizure of assets was taken a day before the start of the St. Petersburg International Economic Forum (SPIEF), the agenda and the tone of which is likely to change significantly due to the actions of the Belgian authorities. Russian experts claim that the timing of the move was no accident. The news about Belgium will distract people's attention from the SPIEF and also scare foreign investors away from a rapprochement with Russia, writes the website. “The focus around Belgium creates a powerful wave of news that will be dominant in the media, distracting from the real deals to be concluded during the SPIEF,” political analyst Igor Yushkov told Gazeta.ru. According to the expert, the seizure of Russian assets is aimed at showing foreign companies that Russian partners are unreliable and their property can be seized at any moment. However, the representatives of Russian and foreign companies that were planning to sign contracts at SPIEF unanimously told the website that the situation in Belgium would not affect their plans in any way. European far-right politicians have created a new political group in the European Parliament, the centrist newspaper Nezavisimaya Gazeta reports. Headed by French National Front leader Marine Le Pen, the new bloc, Europe of Nations and Freedoms, has drawn 39 representatives from Austria, Belgium, the U.K., Italy, the Netherlands, Poland and France. According to Vladimir Schweitzer, head of the Social and Political Research Department of the Institute of Europe at the Russian Academy of Sciences, the new faction in the European Parliament’s rights will be limited to an advisory voice in discussions, the inclusion of their representatives in the various groups as well as the proposal of initiatives and resolutions. "Formally, the Eurosceptics have just had the opportunity to once again declare themselves," Schweitzer told Nezavisimaya Gazeta. The representatives of the new political group are united by three main ideas, the newspaper writes: the refusal of unconditional submission of their national parliaments to the decisions of the EU authorities, a protest against Europe's transatlantic partnership with the U.S., and the tightening of immigration policy. However, experts doubt that far-right populists will be able to seriously oppose the decisions of the European Parliament, including those taken against Russia. The tabloid daily Moskovsky Komsomolets reviews the meeting of Ukrainian President Petro Poroshenko with Tony Blair, Britain’s former prime minister. The newspaper writes that the Ukrainian leader asked Blair to help him as soon as possible to integrate the country into the European Union: To speed up the integration as much as possible, Poroshenko has invited Blair to share his experience of public administration within the framework of the International Advisory Council for Reforms under the President of Ukraine. However, Western politicians are not particularly tempted to join a public organization that is so important for Ukrainians, notes Moskovsky Komsomolets; the job of advisor was previously declined by U.S. Senator John McCain. In addition to ex-Georgian president Mikheil Saakashvili, the council now includes former prime minister and foreign minister of Sweden, Carl Bildt; the head of the European Parliament Committee on Foreign Affairs, Elmar Brok; Mikuláš Dzurinda, the former prime minister of Slovakia; Andrius Kubilius, the former prime minister of Lithuania; and a number of others. If Blair agrees to join the council, he will be the most prominent retired politician bold enough to get involved in “the adventure of Ukrainian reforms,” the newspaper adds. Alexander Gusev, head of the Center for Strategic Development of CIS countries, told Moskovsky Komsomolets that Poroshenko is attempting to invite famous politicians such as Blair and McCain to join the Council to divert public attention from his failures. “Tony Blair is a competent politician, but the British economy is completely different from the Ukrainian one,” deputy director of the Institute of CIS Countries, Vladimir Zharikhin, told the newspaper. "For all his desire, Blair will not be able to help Ukraine in any way," he said.